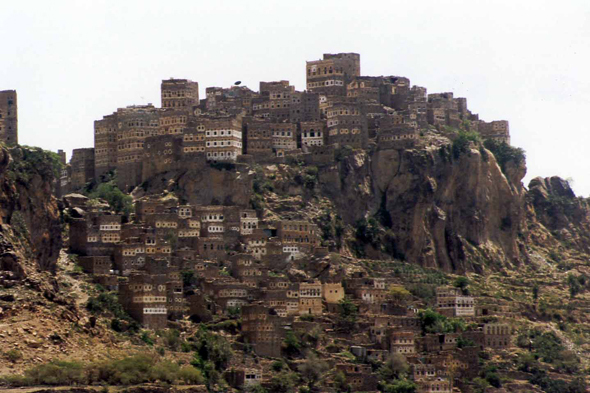 The historical village of Al-Hajjara rises on a mountainous top. The whole village is a museum, and it is forbidden to vehicles. This picturesque stone village formerly accomodated a market on the old Sanaa - Al-Hudayda road.